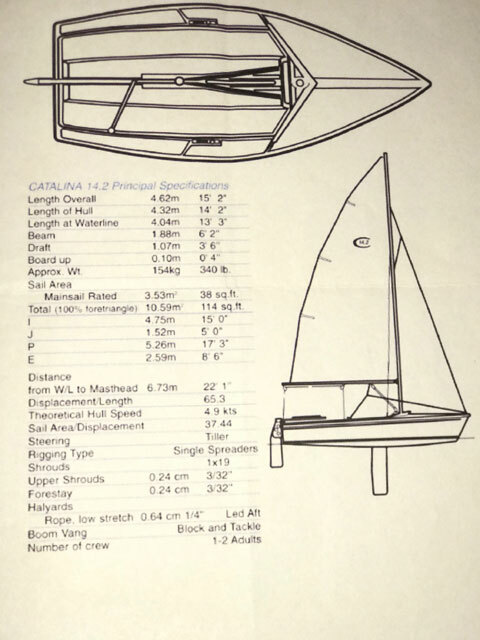 This is a very clean boat with a kick-up Centerboard and kick-up Rudder. 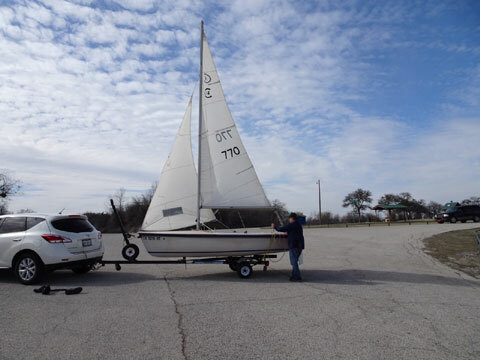 It has a Main Sail and Hank-on Jib in good condition with crinkle still in both sails. Comes with a Boom Vang, Outhaul and Downhaul and a Tiller Extension. 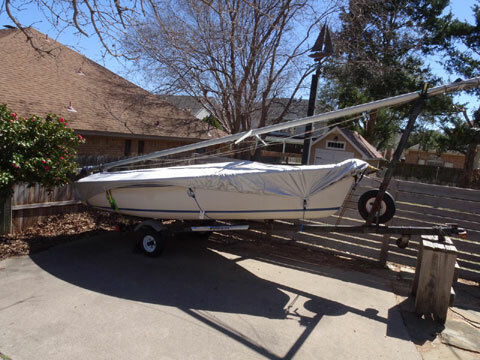 Boat has a covered deck w/storage compartment below with a wood hatch cover. 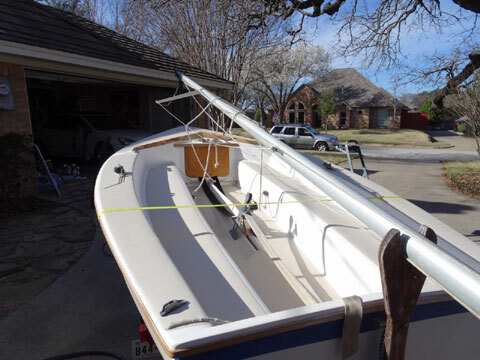 Boat comes with a Highlander Tilt Trailer with new lights and wiring harness. Also has 2 new wheels and tires and also a spare tire. SOLD. My Capri 14.2 was just sold today to the first person that called about it. Wow, that was very fast. We got our asking price too.